ManTech International (Nasdaq: MANT) has received two four-year task orders worth $116 million combined from the U.S. Air Force to update systems on manned and unmanned aircraft that the U.S. Navy uses to perform intelligence, surveillance and reconnaissance missions. The Air Force Installation Contracting Agency awarded the task orders through the multiple-award defense systems technical area task contract of the Defense Department’s information analysis center in support of Naval Air Systems Command, ManTech said Thursday. The company will update legacy systems onboard P-8A Poseidon and P-3C Orion aircraft and provide logistics support and engineering analyses for the Navy’s lifecycle management efforts under a potential $71 million task order. The Navy uses the manned planes for anti-surface and anti-submarine ISR, survivability and electronic warfare missions. Furthermore, ManTech will upgrade electro-optical/infrared ISR systems, sensor radars and other airborne platforms aboard the MQ-4C Triton drone used by NAVAIR for persistent ISR maritime missions through a $45 million task order. Kevin Phillips, ManTech president and CEO, said the company’s commitment to fielding technology platforms for electronic warfare and ISR systems seeks to reflect efforts to leverage digital capabilities in support of clients’ missions. 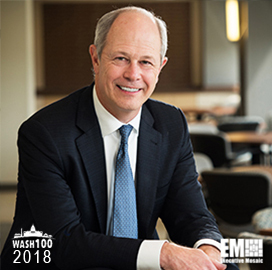 “By bringing digital to the mission we are driving advanced computing, communications and ISR capabilities to the tactical edge so America’s warfighters can put actionable intelligence to work in real time,” added Phillips, a two-time Wash100 recipient.